Clean Carfax report. Just completed 160-point diagnostic inspection. 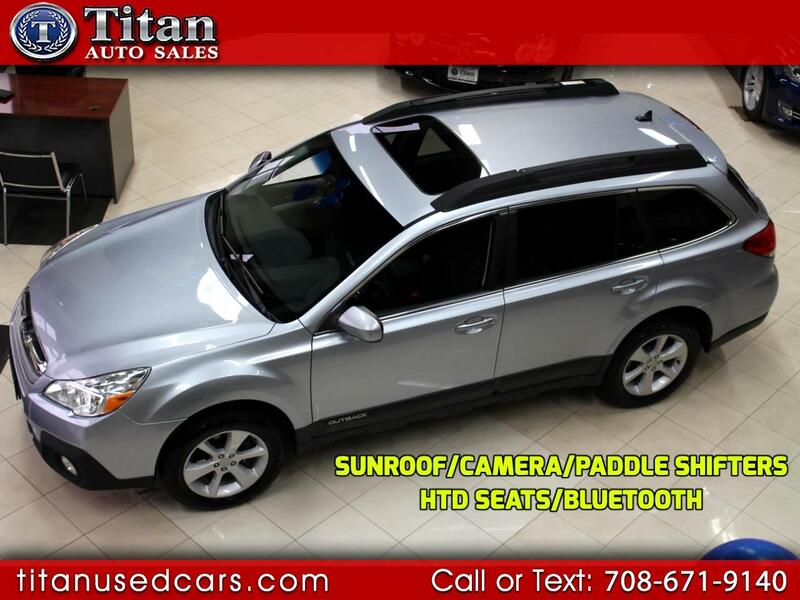 Features Power Moonroof, Rearview camera, in-Dash Display, All-wheel Drive Traction, newer tires, Bluetooth connectivity, Heated seats, Front Fog lamps, Power drivers seat, Satellite Radio, 17-inch alloy wheels, Tire pressure monitor, Cruise control, Auxiliary audio input, Rear spoiler, Traction control, Stability control, Privacy Glass, Cargo area cover and a fuel efficient and reliable 2.5L engine. Buy with confidence from our AAA+ rated business. Our Quality, Prices and Reputation can't be beat. Proudly serving thousands of satisfied customers for over 15 years.